Skip the tree hugging this year, instead reach for your nearest sustainable farmer. They are the ones who toil daily to protect our water, soil and air while providing us with nutritious foods. They are a small lot of folks around the country. Farms keep getting larger and more specialized, but it is the last thing our Earth needs. We need more small to medium scale farmers who incorporate methods that enrich the soil, increase the nutrition of our food and use less water. Sustainable farmers can only grow in numbers with our support. This Earth Day, seek them out, buy their goods, tell them you care about the work they do. 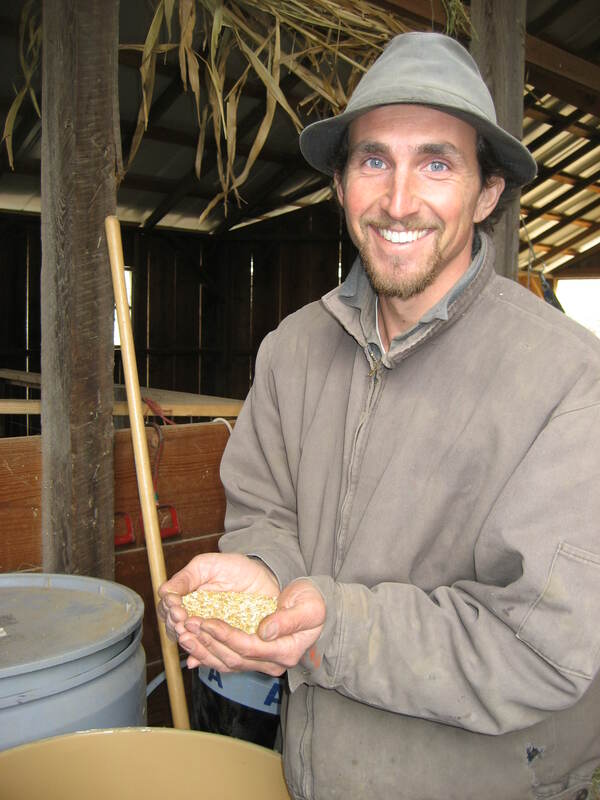 Here are five sustainable farmers I send a virtual hug to this Earth Day. I start with John because he was one of my first teachers on my quest to eat less water. While his farm neighbors excavate water at 1,000 feet deep to sustain almond and wine grapes, John farms his land using no irrigation. He is what is called a dry farmer. His crops of grains survive on rain and moisture alone. 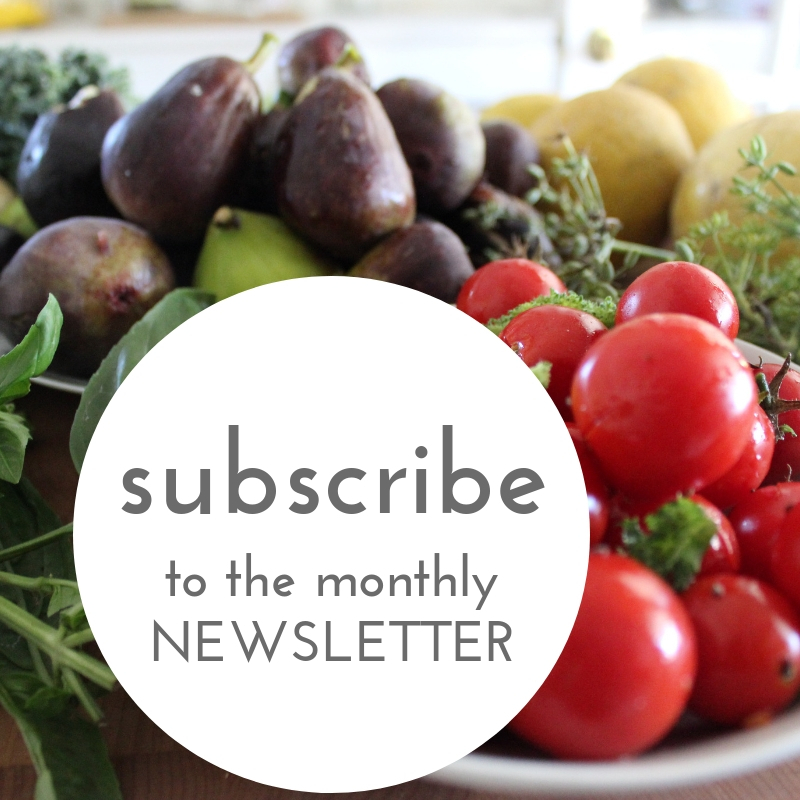 This year’s harvest will be available to With the Grain CSA members. Dr. Murillo says his organic tequila doesn’t give you a hangover. 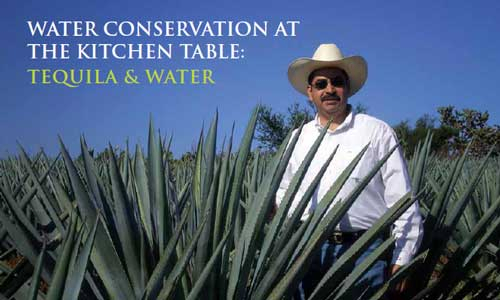 The agave he raises on his farm in the state of Jalisco, thrives on sun, rain and healthy soil alone. Adolfo’s farming methods are in contrast to the conventional way of growing agave that includes applying generous doses of chemical fertilizers and pesticides over the course of 6-8 years, the average length of time required to grow agave. The chemicals absorbed by the plant is further intensified during the fermentation and distillation process. This is what causes the tequila hangover Dr. Murillo suggests. I’ve yet to test his theory because this award winning tequila tastes too good to drink in one shot, it is made to sip. You can taste the Mexican sun in each swallow. Tequila Alquimia is available at a growing number of bars and stores in California. It can be shipped anywhere (as long as you live in a state that allows for the shipment of liquor). 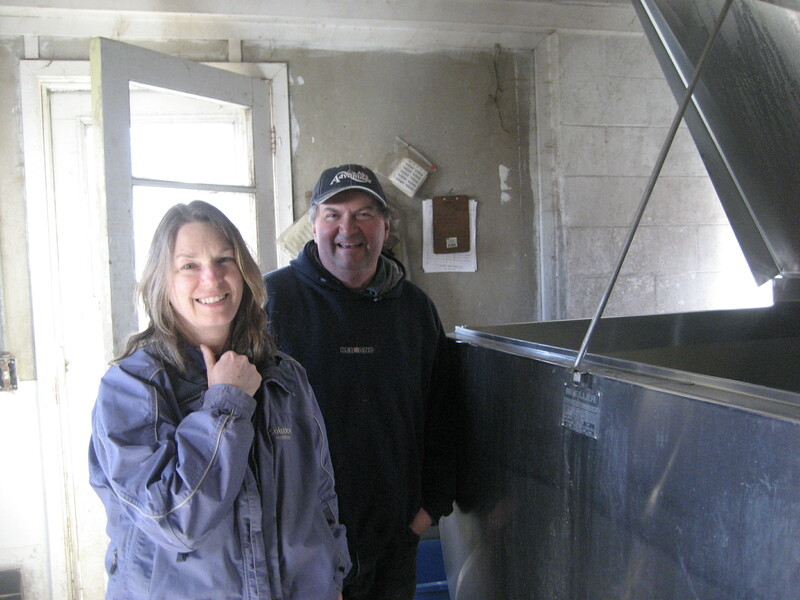 Paul and Maureen Knapp converted their dairy to organic when they learned the river was at the headwaters of the Chesapeake watershed. Home to the first discovered dead zone in the U.S., the hypoxic zone spreads over 40 percent of the Chesapeake. At least 50 percent of the pollution stems from agriculture upstream. Paul and Maureen’s concern for water quality led them to implement Holistic Management. This farming method corrals animals into smaller areas of pasture or paddocks. The animals are frequently moved to eliminate overgrazing. As a result, their dairy cows graze on rain-fed pastures during the spring through the fall. When the snow brings the cows indoors, they are shoveled rain-fed hay grown on the farm. Every drop of water is reused on Mike’s family vineyard. Water used during the bottling process, restrooms, restaurant sink is collected in a man-made pond located on the vineyard. Gravity carries the water into this constructed wetlands. The impurities of the water is removed by the sway of tall, thick papyrus and graceful calla lilies and the microbes living on the root systems. By the time the water moves through the wetlands it is almost drinking water quality. The recycled water is used for irrigation. Irrigation is used sparingly on the vineyard. Irrigation is not scheduled but rather based on soil moisture. And with the implementation of biodynamic farming methods, the root systems of the grape vines are encouraged to grow deeper into the ground, increasing the plants access to more moisture. It also allows the plant to absorb more minerals, elevating the flavor of the wine to the extraordinary. You can find Benziger in every state and now in some first class cabins at 40,000 feet. I was thrilled to discover Benziger wine sold at my local Von’s and BevMo. As a former farmworker, Nelida Martinez knows firsthand how chemicals cause physical reactions. It is why she chose to become an organic farmer. 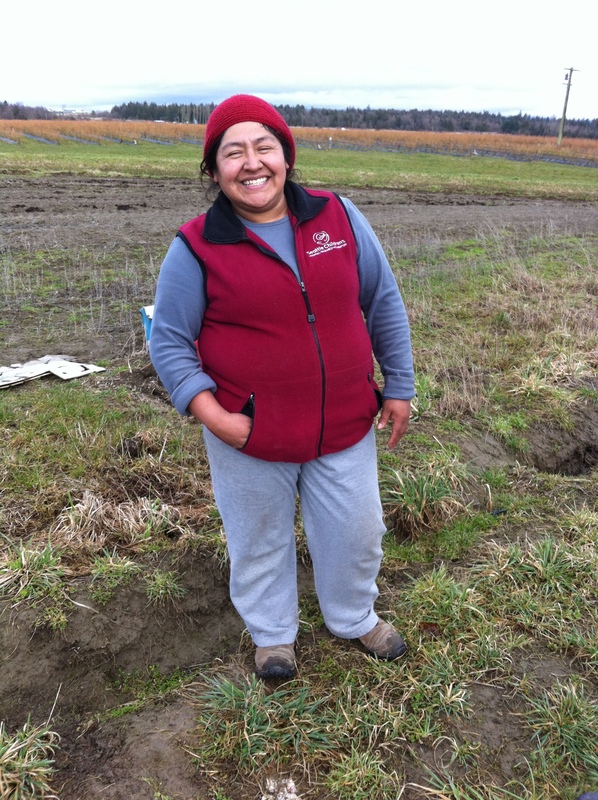 “I got rashes on my hands from touching the soil, vegetables or fruit with my bare skin,” she shared with me during my visit to her farm located an hour north of Seattle. “The common practice was, and still is, to apply pesticides on a portion of the farm while farmworkers worked on another. Even when they applied chemicals two or three fields away, we were exposed. The wind brought them to us.” Her son, who worked beside her in the strawberry fields in my hometown of Oxnard, contracted Leukemia. While she doesn’t know for sure if the fumigants sprayed on the sweet berries led to her son’s cancer, she does believe it contributed to the illness that left him with a compromised pancreas. 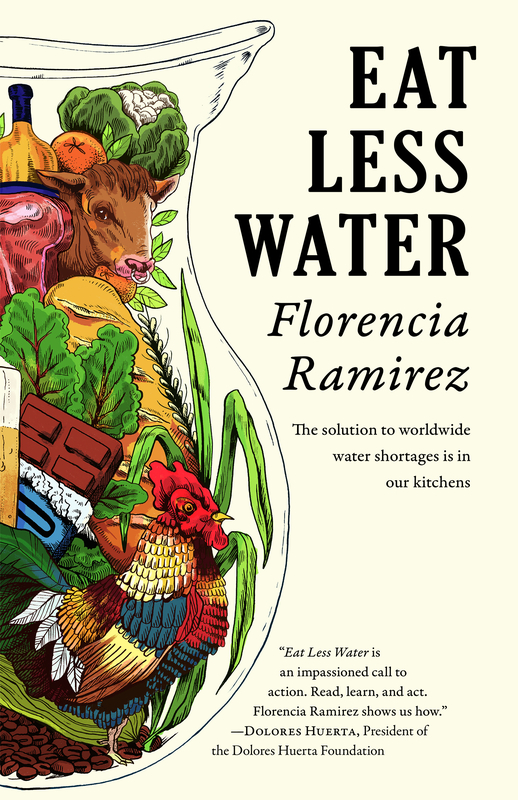 She dedicates herself to growing healthy, non-chemical food for her family and community. Her vegetables and berries, along with her fresh tortillas and swiss chard and cheese stuffed tamales, are sold at the Viva Farms produce stand during the late spring, summer and fall months. To these sustainable farmers and others not listed here, thank you for the work you do in the world! Eat less water at your kitchen table. There is power in the collective! Great post and virtual hugs to all these growers! Thank you Mona. Your reply is like a virtual hug to me too. Hugs to the sustainable farmers and to YOU for all the work you do! Thank you. Thank you Amada for taking the time to read these articles and for your tremendous support! We inspire each other April! I feel your light shining all the way from Brazil or are you back in Brooklyn? Thank you for all YOU do for our planet and its inhabitants.